2000 Harmony Sweeps Champions, (and hilarious hosts of the 2001 Finals), the third CD of the 3 men and 2 women who are Toxic Audio has been much anticipated here, and we are happy to report that "Chemistry" is a smash! The CD begins with a wonderfully wacky "She Blinded Me With Science," the Doobie Bros' hit "Listen to the Music," "Hush" with a really cool vocal "bass" solo, "Words," with a very cool "rap" sequence, a sneakily funny parody, "God Must Have Spent A Little Less Time On You," with the line, "you're so ugly, when you were born, instead of slapping you, they slapped your mom," "Paperback Writer," Throat Culture's "I want a head like the heads you see on Easter Island, I want to stare at the seaside and do nothing." Next is "Stand By Me," a jazzy "Autumn Leaves," first in French and then upbeat in English, an ultra funky "Why Don't We Do It in the Road," a Michael Jackson song, and the disco hit, "Turn the Beat Around, which vocally segues into the drum solo from the surfer hit, "Wipeout." "Chemistry" is a winner and highly recommended! 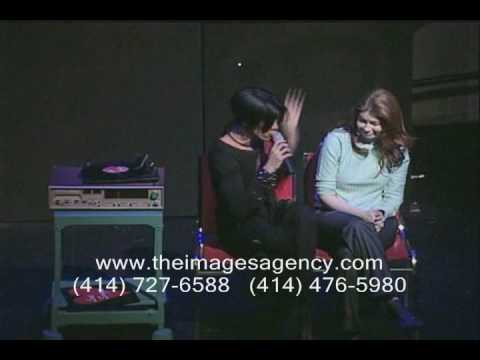 First launching its quirky show at the 1998 Orlando International Fringe Festival, where they caught the attention of Disney executives who hired them as featured performers at Disney/MGM Studios, Toxic Audio began making major waves in the a cappella world in 2000 with a stunning win at the Harmony Sweeps Finals in San Rafael, CA. Their CD "Chemistry" was named 2003 CASA' Album of the Year. After national TV appearances with Ed McMahon and Wayne Brady, the group won the 2004 Drama Desk Award for "Unique Theatrical Experience for their Off-Broadway Show in New York's John Houseman Theatre. 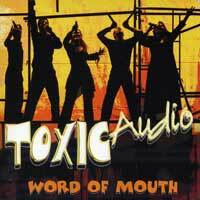 "Word of Mouth" is essentially a "Best of Toxic Audio 1998-2004" CD, which features tracks from their previous releases in addition to "Chemistry," "Captive Audience," and "Toxic Audio," as well as 6 new tracks recorded exclusively for "Word." 13 songs, and a list of favorites would have to include a pair of amazing originals written by group members Jeremy and Shalisa, "Caffeine" and "Putting Words in My Mouth," who also sing lead on them; a funky, salsa-flavored "(Put the Lime in the) Coconut;" an ethereal, soaring arrangement of "Stand By Me," a pair of Lennon/McCartney winners, "Why Don't We Do It In The Road" and "All I've Got to Do," one of the best live covers of "Route 66" we've ever heard, the group's live concert favorite "Turn the Beat Around," a bluesy-jazzy "If I Only Had A Brain" with a sweet, meandering lead by Paul; and a boogying "You Can't Stop The Beat" from the Broadway musical "Hairspray." One of the most dynamic live shows we've seen, at the Sweeps and at the A Cappella Summit, Toxic Audio makes equally wonderful CDs, and this is their best yet, "Word!"